Social cognition: what is it for a collective to have thoughts, beliefs, intentions, or plans? What is collective or corporate action? And do individual people have "social minds"? Social kinds: What is the nature of social categories and classifications? What, for instance, is race and gender? Are these features of the natural world, or are they socially constructed? What does it mean for a kind to be socially constructed? Groups and collectives: What is a social group? Is it different from the people constituting it? Are groups abstract or concrete objects, and are there different basic kinds of groups? Agreements and conventions: What are agreements, conventions, and other ways for communities to coordinate? What do agreements and conventions accomplish? How are related entities, such as contracts and promises, created? Law: What is the nature of the law and legal institutions? How is the law related to social practices and to moral norms? The few years have seen a surge of interest in these topics. Philosophers and scholars in a variety of fields increasingly endorse the idea — radical a quarter century ago but almost mundane today — that it is intellectually respectable to take social properties seriously. Collective actions and intentions, for example, are now widely understood to be distinct from the corresponding actions and intentions of individual people, without being ghostly or mystical. Social ontology is also gaining prominence in more traditional philosophical venues. Philosophers investigating the nature of the world are realizing that they need to move beyond the stock examples they have traditionally used. Instead, more and more they are looking to the larger world, including artifacts, groups, and institutions. Meanwhile, political imperatives are leading other philosophers to take a more serious look at the metaphysics of social categories, such as race and gender. Social ontology has also benefited from the breakdown of boundaries across philosophical styles, as a new generation of philosophers has grown up for whom disciplinary boundaries and programmatic allegiances mean less than they once did. The International Social Ontology Society (ISOS) brings together philosophers, social theorists, cognitive scientists, psychologists, economists, political scientists, legal scholars, anthropologists, and other scholars interested in the field of social ontology. The field of social ontology address such questions as: What are social groups? What are corporations and institutions? What is money, language and the law? What is it for a group act together as opposed to individually? What is shared intention? What is collective belief, hope, guilt, and responsibility? You are receiving this letter because you are a member, or have been a member, of ISOS, or you have attended one of the conferences sponsored by ISOS, the biennialEuropean Network of Social Ontology series, or the biennial Collective Intentionality series. If you would like to be removed from our mailing list, please use the unsubscribe link at the bottom of this email. ISOS has a new website, http://isosonline.org, which I would like to invite you to visit if you have not already. We are in the process of adding features to the website to make it resource center for those interested in social ontology. News and a news archive about member activities, publications, etc. A calendar to which members can add events relating to social ontology, conferences, workshops, etc. If you have any suggestions about what you'd like to see, please let me know at <ludwig@indiana.edu>. If you are not currently a member, we would like to invite you to join, or to renew your membership (you can also join or renew at the ENSO V conference). Membership includes a discount for the conference fees for the ENSO conferences and the conferences in the Collective Intentionality series, voting rights at ISOS Assembly meetings, access to member only pages on the web site, and it helps to support the social ontology research community. Minutes of Assembly and Steering Committee meetings are posted on the website on a members only page. I list below some news about member prizes and publications related to their work in social ontology. If you have a new book yourself, or know of new books published by members, or books that would be of interest to members, or other news a general interest to members, please write to let me know. A list of the officers of ISOS included at the "Contact Us" tab on the website. 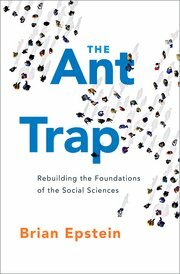 Brian Epstein's 2015 book The Ant Trap: Rebuilding the Foundations of the Social Sciences (OUP) won the 2016 Lakatos Award for "an outstanding contribution to the philosophy of science," and the American Philosophical Association's 2016 Gittler Award for "for an outstanding scholarly contribution in the field of the philosophy of one or more of the social sciences." A new volume of critical essays on Raimo Tuomela'swork with his replies, edited by Gerhard Preyer and Georg Peter (eds.) 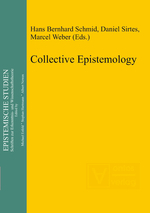 has just been published, Social Ontology and Collective Intentionality by Springer (2017). 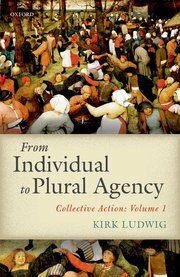 Kirk Ludwig published From Individual to Plural Agency: Collective Action 1 (OUP Dec. 13, 2016). A second volume titled From Plural to Institutional Agency: Collective Action 2, is due out in fall 2017. Alessandro Salice and Hans Bernhard Schmid(eds.) 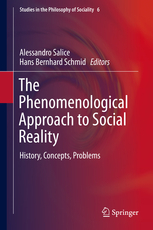 The Phenomenological Approach to Social Reality: History, Concepts, Problems (Springer 2016). Sara Rachel Chant, Frank Hindriks, and Gerhard Preyer(eds. 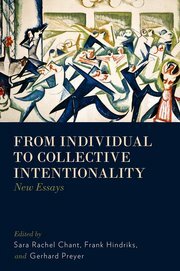 ), From Individual to Collective Intentionality (OUP 2014). Raimo Tuomela has published Social Ontology: Collective Intentionality and Group Agents (OUP 2013). Social Ontology and Collective Intentionality above focuses on this book. K. Michaelian and J. Sutton, eds. 2013. 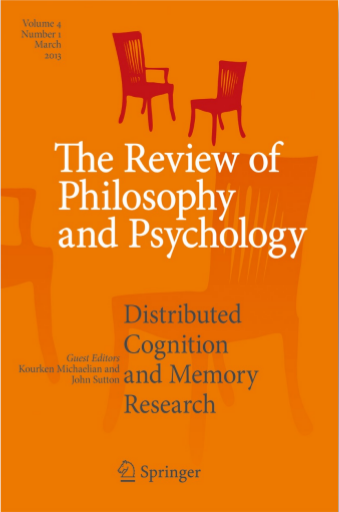 Distributed Cognition and Memory Research. Special issue. Review of Philosophy and Psychology 4(1). "International Social Ontology Society" is registered as a non-profit organization in Austria.